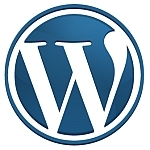 WordPress 3.8 came out recently. You may be wondering — is it a big release? No, it’s not. WordPress has reached a state where most of how it’s setup is pretty much perfect. And so, the dramatic changes that were seen in previous iterations are now less likely. That doesn’t mean that updates don’t bring nice, WordPressy goodness, though! This particular update has a lot of GUI changes. You’ll notice a new toolbar, new starter theme (Twenty Fourteen / 2014), new fonts, and more. There are some performance increases and bug fixes too…which is always welcome! Visually, it’s very appealing. Functionally, it’s more-or-less the same (which isn’t a bad thing! ).